When it comes to large-format inkjet printing, the HP DesignJet 750c lags a bit behind its competition, with a maximum speed of 4 minutes per page in color and 1.5 minutes per page for monochrome. However, given its ability to accept up to 36-inch wide media and its low purchase price and affordable HP 750c printer ink, it is worth a look for those on a limited budget who don't mind sacrificing a bit of speed. The 750c provides several connection options, including serial and parallel connection, as well as an ethernet port, providing network sharing options. The machine accepts both roll media and sheet media, at a maximum width of 36 inches, at a maximum roll length of 150 feet. This provides a large degree of flexibility for users depending on the type of project they need to create. 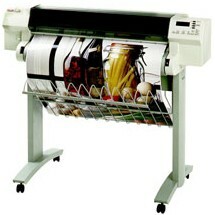 With a maximum resolution of 300 dpi for color and 600 dpi for monochrome output, users should expect decent results, especially for text and simple graphics. The memory is upgradeable from the starting 8 MB up to a maximum of 72 MB. Other features include an automatic single-axis cutter, automatic alignment for the DesignJet 750c ink cartridges, and built-in diagnostic plots to make sure things are working properly. 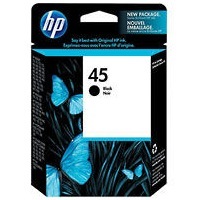 The large capacity of HP 750c ink cartridges is a significant factor in how cost-effective the device will be overall. The black DesignJet 750c printer ink supply can provide up to 830 pages, while each of the color HP 750c ink supplies can provide a yield of up to 1,100 pages. As wide-format inkjet models go, the DesignJet 750c is solid enough, and its low price makes it pretty appealing. Users who don't need the sharpest quality will benefit from its versatile media handling and low-cost HP 750c ink, even if its speeds are somewhat disappointing.